Last week I posted my first “Coffee Time” post and I think it was a hit! So I’m super excited to be here again. Sharing my ramblings with you. 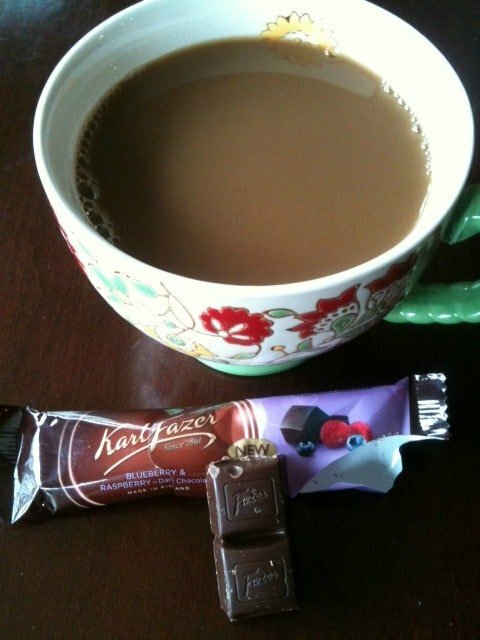 Grab your coffee…let’s do this! So I have been sitting down trying to plan out our summer. We have a big vacation driving West this year (hitting so many places from Mt.Rushmore, Yellowstone, California, Yosemite, Grand Canyon, Pike’s Peak….). Then it occurred to me. I have 3 blog trips planned. Trips that require me to get on an airplane. Let’s talk about airplanes today shall we? Does anybody else feel this total loss of control, terrified panic getting on a plane? When I hear people say they “sleep” on the plane, my mind is blown. I spend the ENTIRE flight watching the stewardesses. Especially during turbulence. I mean, they would know if it’s normal turbulence or if it’s bad “start saying your prayers” type of turbulence, right? And as far as calming my nerves with alcohol or medications, it’s a fine line for me. Because I’m such a panicked mess, with phobias we haven’t touched on, I want to have some sense about me in case I need to make an exit. Okay, so now you all know what a freak I am, how about we change the subject? Let’s start drooling. I had fun keeping my eye out this week for some delicious photos. I was overwhelmed with all the good things out there! I’m Loving It: Little known fact about me. I hate shopping for clothes. Every once in awhile I will go out, but I pretty much buy the entire outfit on mannequins because I like to see the whole ensemble together. Then I ask the sales lady what kind of shoes to wear. Odd, right? Well I recently signed up for Stitch Fix. Have you heard of this? You fill out a detailed style profile and a personal stylist picks clothes for you! You then schedule a “fix” and 5 items get delivered to your door. You have 3 days to decide what you like. You can keep it all, keep a little, or return it all (in the prepaid bag). Go sign up, fill out the profile and give it one try! They say the more times you try it, they tweak your style (you fill out a questionnaire after every “fix”). You can schedule it once. Once a week. Once a month. Every other month. There is no limit (and no requirements). I do think there is a waiting list though, so get on it now!!! I have had TWO fixes. The first fix I kept everything. It was spot on! The second fix I loved it all, but returned one of the cute dresses. After trying it on (a dozen times over the three day period), I decided it wasn’t my style (but it was super cute). I love that they also include style cards with each item, showing how to wear it and accessorize. Perfect for me! There is a referral program too, so when you sign up through me (by following my links) I get credit toward my next order. Then when you sign up, you can get your friends to sign up! 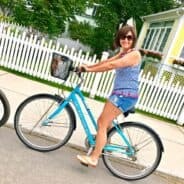 I think you will love Stitch Fix. Dinner Inspiration: I saw this recipe for Italian Pulled Chicken and Kale Sliders on Pinterest a few weeks ago and it’s going on our menu! Thank you Roni for a delicious recipe that I think my whole family will love! 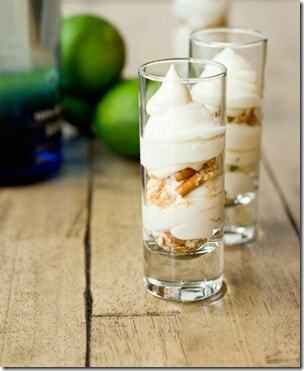 Very Pinteresting: Speaking of Pinterest, I’m dying over these Margarita Frosting Shots from Keep it Sweet Desserts. Yes, that is correct. FROSTING SHOTS. How fun would these be for your Cinco de Mayo party? You can find more Cinco de Mayo recipes on my Pinterest board. What’s New: Last week I gave a very blatant hint to my husband that I wanted perfume for Mother’s day. He read it, got the hint, and hopefully is off buying the perfume. Since that worked so well, I thought this week I would post another photo of something I’m wishing for! Have you seen this Caribbean Tea Collection from Le Creuset???? I’m hoping to re-paint my kitchen this month and this color is one of my choices for accents. This tea collection would look so pretty! HINT. HINT. Or maybe Le Creuset would like to send me one to review??? Hello?? Bueller?? 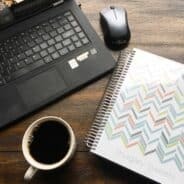 Blogging Tips: So for those of you who read this and are bloggers, you might get giddy like I am about new business cards. Especially when those business cards are designed by one of your besties! Dorothy from Crazy for Crust designed the most gorgeous business cards for me! She made the process so easy, and ordering from gotprint.com was such a breeze! Thanks girl! I’m ready for conferences now…if I don’t die on an airplane first (I can be morbid sometimes). Most Popular Shugary Sweets recipe this week: Once again I’ve got an old post that went crazy this week. 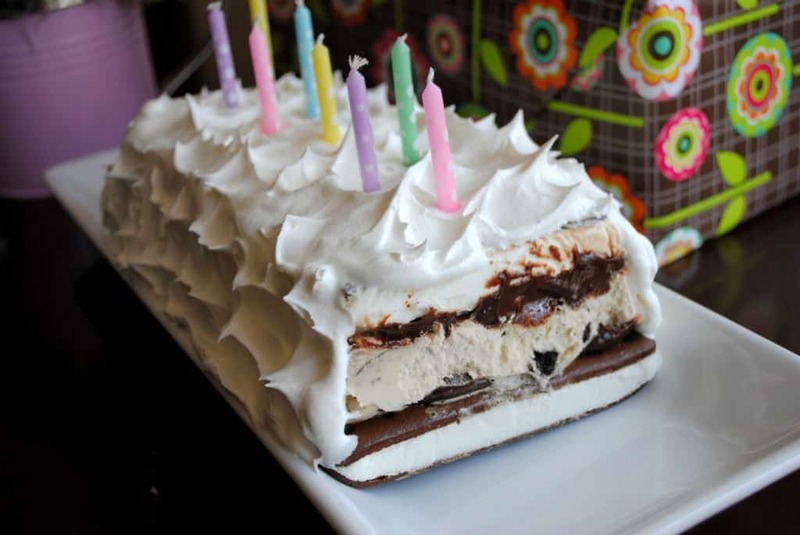 Ice Cream cake! Easy to make and delicious to eat. Check it out for yourself! I’m off to go convince my husband that frosting shots are a great dessert tonight. Perfect for unwinding after doing yardwork. Right? See you all next week!! **Some links in Coffee Time posts may include affiliate links. Please see my Disclosure Policy for more information! A girl has to pay some bills and buy more chocolate! I know! What is it about those old out of focus photos? Not complaining…. I think they are reasonable (and you can set your price limit…I usually choose “cheaper the better”! But you can certainly try it yourself. You do pay a styling fee of $20, which gets applied to your order. If you don’t keep anything you lose that money. But I’m pretty sure there will be SOMETHING you love! Thanks for stopping by Kristin!! I can’t fly anymore, I just assume we are going to crash. Have to try the Stitch Fix! How cool! Enjoy your coffee! haha, I seriously am in panic the entire flight. At least going to Orlando I’ll have my calm hubby with me, that helps! the other two flights I’m on my own, ugh! That Le Creuset collection is fabulous. I’d love for them to contact me too! Hint hint. Ha ha! Um, HELLO! I ALWAYS listen carefully to the safety instructions on an airplane. …and get really annoyed with the people who talk through it. LOL. But seriously people… they’re giving LIFE SAVING INSTRUCTIONS up there! Thank you for that VERY drool worthy pin. That cake is THE cake for me. 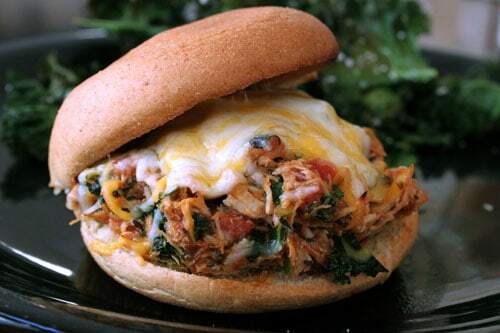 That pulled chicken kale slider looks so good I can barely stand it, too. The first time I heard about Stitch Fix was this morning at Brown Eyed Baker, now you. Clearly it’s a sign to hear about it twice in one day! Everything in that photo looked like something I’d love. I’m not afraid to fly, but turbulences do freak me out a bit! Your trip sounds like a fun one! Love your new business cards!!! And of course, the Ice Cream Cake! Have a great weekend! I feel the same way about planes! I feel so out of control. I keep hearing about Stitch Fix. I saw it on Brown Eyed Baker this morning and think also on Eat Live Run a while ago. Sounds pretty interesting. I’m not a fan of shopping either! I love shopping and airplanes but most of all frosting, you bring the frosting shots and I’ll help you shop! That vacation sounds amazing… I’m not a huge fan of flying but it always is worth it! 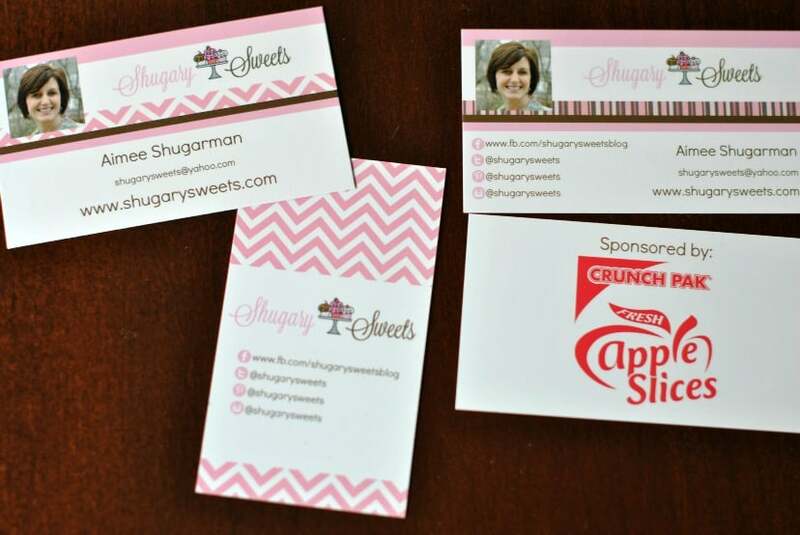 Love your new business cards, too! Your vacation plan sounds super fun! And yes, I am terrified of flying too! The Le Creuset set is gorgeous! Oh, Aimee, I’m a panicked mess, too! 🙂 And I’m really enjoying your new coffee time posts. I’m late for coffee! 😉 Eeeee, you’re coming to South Dakota to see “The Faces”!!! It’s such a sight; so awesome. If you get a chance, a drive through the Badlands is totally worth it…and there’s a teeny town to the west of them (towards Rapid City and Mt. Rushmore) called Wall, and it’s the home of Wall Drug (Google it!) and the BEST doughnuts ever. I dream about those doughnuts. 🙂 You’re gonna have a busy summer! I’m loving your Coffee Time posts! Another South Dakota reader here–I live about an hour from the Badlands and have eaten more than my share of Wall Drug doughnuts! Hope you enjoy your visit to our state. Mt. Rushmore and the Black Hills are amazing. Also, randomly–I made a chocolate cake with a toasted marshmallow filling once (Sweetpolita recipe). It was fabulous. And I love the Caribbean color Le Creuset–such a cheerful color. Would be a wonderful kitchen accent color. yeah! glad you enjoy the posts! So excited about these doughnuts now. Will definitely be eating them! 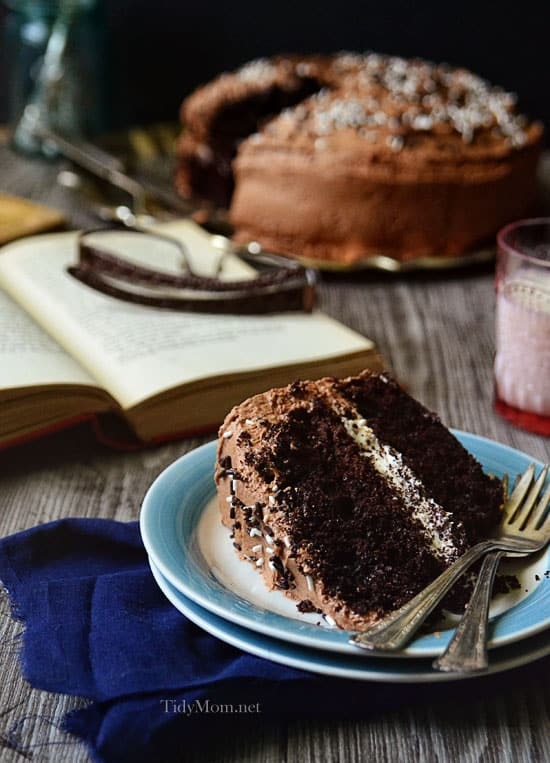 Oh I bet the cake was delicious, Sweetpolita has wonderful recipes! You’ll have so much fun on the West Coast. We did a 3-week road trip a couple years ago and we loved it! You’d think after flying every single year to Romania I’m way over my flight-phobia it’s so not true! I’m terrified the whole entire trip! Those cards are so cute!!!! So, it never gets easier, huh?? How did I not comment on this? Thank you so much for the shout out Aimee! I’ve never heard of Stitch Fix until hearing it TWICE today! Definitely going to have to check it out! Your cards turned out very well! Thank you for choosing to print them through us here at GotPrint.net. We appreciate your business!